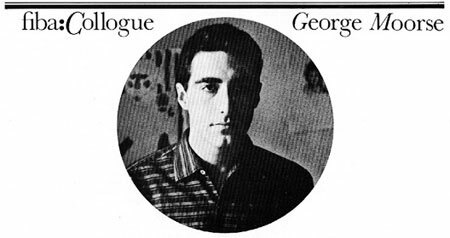 George Moorse, born May 1st 1936 in Bellmore, New York, was a young American poet who became an American expatriate in Munich, Germany in 1959. His mother was born in Riga, Latvia and his father born in London. Moorse kick-started the entire post-WW2 German film making MOVEMENT in 1964 with his first non-mainstream short movie Inside Out. He made a second short film London Pop, that same summer in London. This was followed by his first feature, Zero in the Universe, made in Amsterdam. 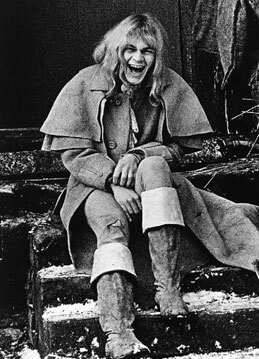 He subsequently made a dozen or more films - mostly approached from a poet's perspective - that have been widely acclaimed in art cinemas in and out of Germany. His films have been prominently presented by the Goethe Institutes world wide. Most of George Moorse's best films were photographed by the well-known Dutch cinematographer Gerard Vandenberg. Amongst his films was Lenz, based on a novel by a19th century German poet, Georg Büchner (1813-1837). He also made an extraordinary pre-history extravaganza called PAN, dealing with the loin-clothed family relationships between Irish and German natives. German poet, Georg Büchner (1813-1837). George Moorse was educated at Hofstra College, Hempstead, New York, USA and at Washington Square College, New York, where he won prizes for both his paintings and his writings. At the age of 15 Moorse sold his first poem to The New York Times for $8.00. His writings have appeared ever since then in important literary reviews and magazines both in American and abroad. He is survived by a daughter and son, Kiki and Ian Moorse from a previous marriage, a sister who is still living in Bellmore, New York, USA, a brother who lives in North Carolina, and a younger sister who lives in Florida, and by his partner for many years, Senta Ofenmacher, who lives in Hamburg, Germany. Themistocles Hoetis is the publisher of fiba (FILMBANK) magazine.